In betting environments the word “market” keeps on showing up and you’ve surely read about this several times here at eBetFinder. To shed some light over this commonly used term, we have made this beginner’s guide to eSport markets where we tell you everything you need to know about it. What exactly are eSport markets? If you’re looking to bet on a match, you’re most likely interested in putting down money on a certain team or player to win it. Having the option of doing this is a market, which is widely known as “match winner”. Another popular market that you might have considered betting on is “tournament winner”. Just as it sounds, this means that you’re putting down money on a team or player to win an entire event that’s currently being held in a game. These markets are just a few examples of a ton of different ones that you are able to come across. Why is it good to have a lot of eSport markets? 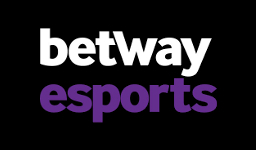 For most thrill seeking eSport enthusiasts, having a wide selection of eSport markets to choose from is a way to boost the excitement of betting. It’s simply way more entertaining to have a lot of betting options to choose from than just being able to bet on a match winner. This means that you can have several different bets placed for a single match, which of course makes watching the match go down that much more interesting. But amusement isn’t the only good reason to have many eSport markets as it can also be profitable. The more options you have to choose from, the easier it will be to find flaws in the odds that the bookmaker is offering. In other words, your chances of placing a bet that is advantageous to you increases. Do all games have as many eSport markets? 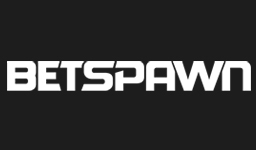 Just like viewing matches and tournaments go down, some eSport games are a lot more popular to bet on than others and naturally this is where the bookmakers put their focus. For CS:GO, League of Legends and Dota 2 you can pretty much find the same number of markets, which is a huge amount. For other games it’s currently a bit more limited, but as they grow in popularity you can be sure that the bookmakers will adapt. It’s all a matter of demand and supply. Where can I find the most eSport markets? 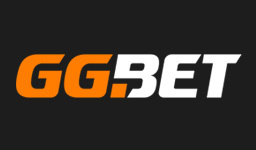 Betting with any of these eSport bookies you can not only expect to find a lot of markets for ordinary matches going down, but they’re also doing a great job offering special markets for some major events. These markets can differ quite a lot from normal ones and can be really interesting to bet on. The eBetFinder forum is here!